My second in the series of #StillOurBaby. Today Ceri is sharing her precious little girl, Poppy. Please note, this post contains images. When I fell pregnant with my second child, it was a little bit of a shock as we weren’t actively trying. We were still in shock but it was easing into excitement when I had a heavy bleed at around 6 weeks. A visit to the GP ended with us being told we were likely to be miscarrying, but we were directed to go to EPU (Early Pregnancy Unit) for further tests in case it was an ectopic pregnancy. The long wait in EPU was difficult only to be sent home after being told it was very likely to be a miscarriage, but a scan in two weeks would tell us if it was all gone. Just that terminology, if it was all gone was devastating. The two weeks that followed were so hard. Trying to keep the faith that baby had hung on in there. The sonographer was phenomenal at both appointments (2 weeks apart) showing us that baby had hung on in there and was oblivious to the worry it was causing. The pregnancy continued with usual symptoms. I had quite bad morning sickness and nausea, but once we found out at 20 weeks it was a girl, it kind of made sense. The excitement and hope within all of us, including our 5 year old son was beautiful. 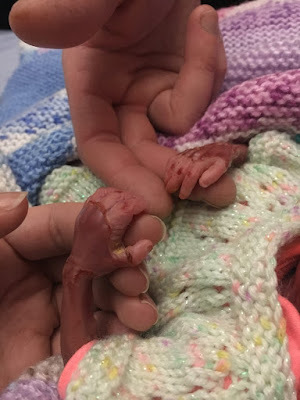 At 24 weeks Poppy had some irregular heartbeats, but by 28 weeks, as we have been told is quite normal, these corrected themselves to a wonderfully strong heartbeat. I had struggled in my first pregnancy with lower back pain and was told at 28 weeks I had left it too late to get help, and with my job at the time, I was on my feet all day. I had hoped that my lifestyle this time round would help me. This pregnancy I was determined to do everything right. I started private physio weekly and took up ante-natal yoga also. The pain started at 14 weeks in my lower back and continued throughout. The pain was getting worse and I wasn’t feeling relief in what I was doing. I went to the GP on 4th December desperate for him to refer me to an osteopath for some medication-free support. I had noticed that Poppy’s movements reduced when I took paracetamol and didn’t want to take any pain killers because of this. I was told I hadn’t tried everything until I had tried 8 paracetamol a day and then gone back for other pain relief, but reluctantly he would “introduce” me to an osteopath. I was also told that pregnant women feel pain differently, that in a study women were tested with the same needle every day over the course of the month and hormones made women’s perception of pain think it was getting worse, when in actual fact it was no different. I had got to the point when it was painful to walk the 5 minutes to school for the school run, I had to shuffle with small steps and wearing a girdle. I left the Drs feeling that I hadn’t done enough, so I took some pain relief. At around 5pm on 5th December I started to get quite bad cramping and pains In my abdomen, I rang the Daily Assessment Unit and was transferred to Delivery Suite. They told me to come in. I was checked and monitored and all was fine. I took a picture of the graph showing Poppy’s heartbeat. I was told she was fine. I was sent home with a codeine tablet. I came off the machine at 7.30pm. At some point between 7.30pm and 10am when I returned to the hospital for a routine growth scan and was meant to be monitored (at the Drs request from Delivery Suite the night before), our baby fell asleep. I woke up the morning of the 6th December feeling odd. I woke up with the word “peaceful” in my head and tried to shake it off. I noticed that Poppy wasn’t moving like she would normally do, but put that down to being given the codeine the night before. I had some fizzy drink and some chocolate to get her moving ready for the scan. My friend was with me that day, I went into the scan room, expecting to see my beautiful baby. I remember commenting on how strong her thigh bones looked. The sonographer was taking her measurements. The moment, that still makes me cry months later is when she put her hand on my arm and said “Ceri, I’m really sorry there is no heartbeat”. I screamed and screamed. “Crying no, not my baby, check again”. I was hysterical. Beyond hysterical in truth. So much of that time I have pushed so far back as it just too painful to think about and remember. My husband and I were told that we would need to collect some items for Poppy to wear and items that I would need for labour. Looking back now, we were told we could go away and come back in a few days. I’m so very glad we didn’t do this. I hadn’t even thought about that I would still have to deliver her. I needed it to happen quickly, I wanted to hold my girl. The midwife rung ahead and asked the local Mothercare to put aside some tiny baby outfits for her, We knew from the scan she was about 4lb. We went into auto-pilot mode. Collecting our belongings and the items we needed for Poppy. We arrived at the Bereavement Suite and had a “few” I think it was about 20 vials of blood taken from 2 cannulas in my wrists, which weren’t successful, so the midwife had to use a vein further up. We were warned that starting labour could take a few days. I was numb. I couldn’t believe my world had shattered and so had my families. I had text my best friend in Canada, within the hour she was on a plane to be with me. I couldn’t believe she was coming, we hadn’t asked her to come but it was very much needed. Darren and I needed her support. Hayley will forever be a huge part of our good memories of this difficult time. I opted to have morphine for the pain relief and everyone in the room was on “light” watch, to press the button to dispense more as soon as it came on. I was out of it, I needed to be. I couldn’t take any more pain. 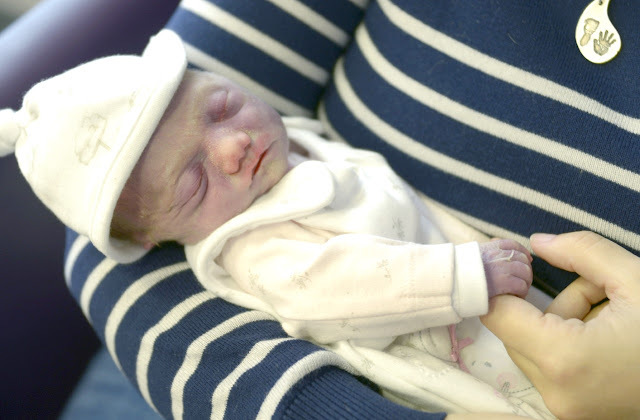 Our beautiful baby girl Poppy Rosalyn Snowflake Crannis was born on 7th December at 6.39pm weighing 3lb 140z. She was beautiful. If I could go back to that moment of holding my girl again, I would in a heartbeat. I know everyone deals with grief differently, and some may think that the way I have dealt with Poppy’s death to be distasteful, but what I have done and how I have done it, has been the only way I could get through. Losing a child is hell on earth. ·I talked to friends initially, but that soon changed to just wanting isolation and not leaving my safe place, home. · I have started pilates and kickboxing- I did eventually make it to see the osteopath to find out why my body was causing me so much pain. · We talk about Poppy, we will always talk about how loved and wanted she was, she was and will always will be Joshua’s sister and our daughter. 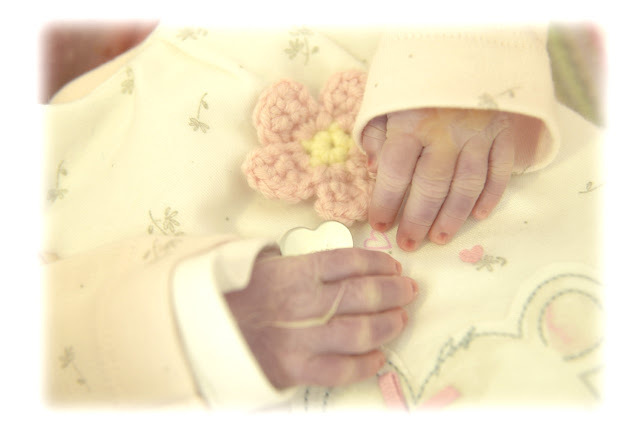 We know from our 12 week follow up appointment with the consultant, that there was no reason for Poppy’s death, they said they consider it to be sudden cardiac arrest, like cot death. Quick and sudden which meant that Poppy didn’t suffer. So many friends and family told us how brave and courageous we were and still are, we weren’t either of those things. We have no choice. We have to keep going. I believe true bravery and courage is to put yourself in the path of pregnancy and having the faith that all will be ok for another baby. Maybe one day. 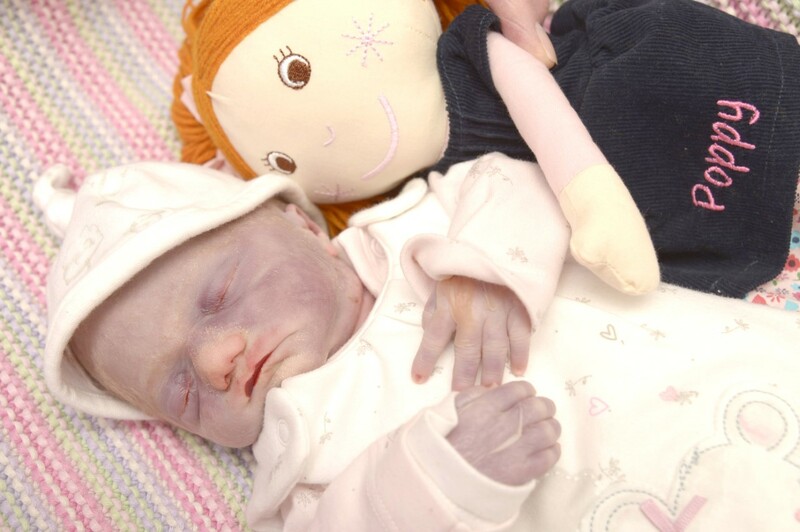 Thank you so much to Ceri, for such a heartfelt post and for sharing beautiful Poppy. If you'd like to be a part of this series, please send me an email or message on social media. What Not to Say to a Greiving Parent. It's been just under four months since we said goodbye to Jonah. When I reflect back to that day it seems like years and year ago, but at the same time feels like yesterday. So much has happened since our boy was born. And I'd now class myself as becoming an expert in grief - not something I'd ever wanted to build my skills in. With that in mind, we have had every cliche comment over the past few months. More often than not, people talk to me about Jonah in ways I could never have imagined doing. They ask me about him and let me share my story with them. But very occasionally someone will say something really unhelpful and I know I'm not the only one to have heard these things, so I've put together a little list of what not to say to a grieving parent (or any grieving person). I hate this phrase. Thankfully it's only been said to me once so far. At the time, I was so shocked I couldn't reply. On reflection, I should have replied with "would you have said that had it been my husband that had died? Or my toddler?". I would love to know the reason Jonah isn't here and why I almost lost my own life. Believe it or not, this was said to us by lots of health care professionals in the hospital. At least we have Violet...yes we do have our beautiful girl, but that doesn't make up for our boy not being with us. You would never chose one of your children over another, so why should we be expected to. I'm so so thankful we do have Violet, she's given us a reason to keep going through all of this but that doesn't make up for the fact that Jonah is not here. No, you don't. You have no idea. Everyone deals with grief in completely different ways, so how could someone really know how I feel? This unhelpful comment has come up on a number of occasions and I find it incredibly difficult to not snap. Something along the lines of "that sounds like you've had a really difficult time" would be far more appropriate. If I had a pound for eveytime someone says "I just don't know what to say", I'd be a very rich lady. Say something. Please acknowledge our little boy existed or at least acknowledge this huge event that has just completely changed our lives. There is nothing I love more than hearing Jonah's name. On a few occasions I've been ignored by people that know what happened, but clearly don't want to acknowledge it and that damages a relationships forever. I'm not sure if this is a helpful comment to people that believe in Heaven or an after life. We're not religious so this offers no support what so ever. I don't want him in a better place, I want him here with me. And the best thing to say to a grieving parent? "Tell me about your baby". Okay, so something very exciting is happening! 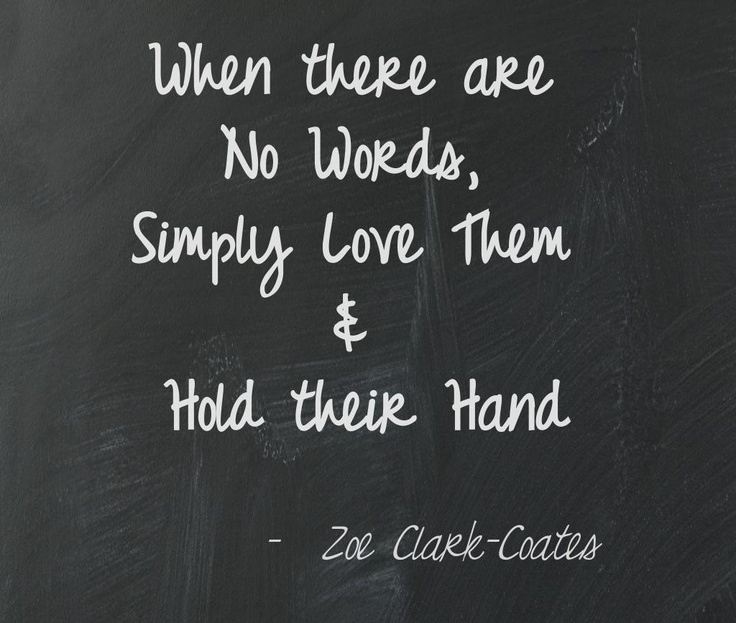 I've been asking members of the baby loss community if they'd like to share their baby's story, be that their birth story, life after their child, whatever. And I've had an overwhelming response. Before Jonah was born I actively avoided reading about stillbirth and miscarriage. I genuinely believed there was absolutely no way I could survive if it happened to me. And then it did and I had no choice but to survive. The baby loss community have welcomed me with open arms and it's only right that I use this space to share other people's babies as well as my own - so here is my new series #StillOurBaby. Our children's stories deserve to be heard and their name's need to be spoken, so this series will be dedicated to all our beautiful babies who don't have their own voices. Let's keep the conversation and break the silence around baby loss. I've given parents pretty much free range over their posts, so photographs will be included in posts, if they wish. There will be a trigger warning before each post. My first story comes from Kerry, Florence's mummy. 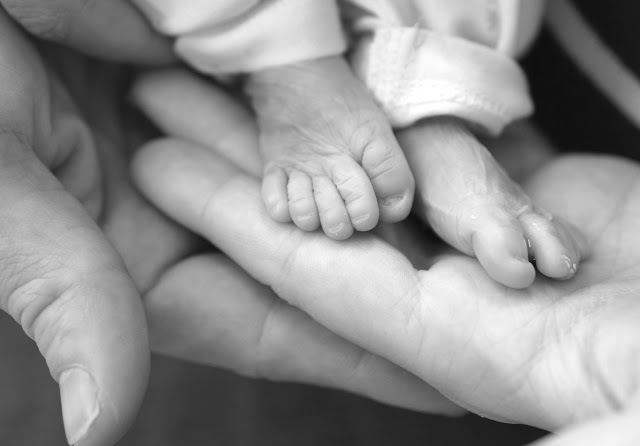 Trigger warning - Please be aware this is discussion of stillbirth and photographs are included in this post. 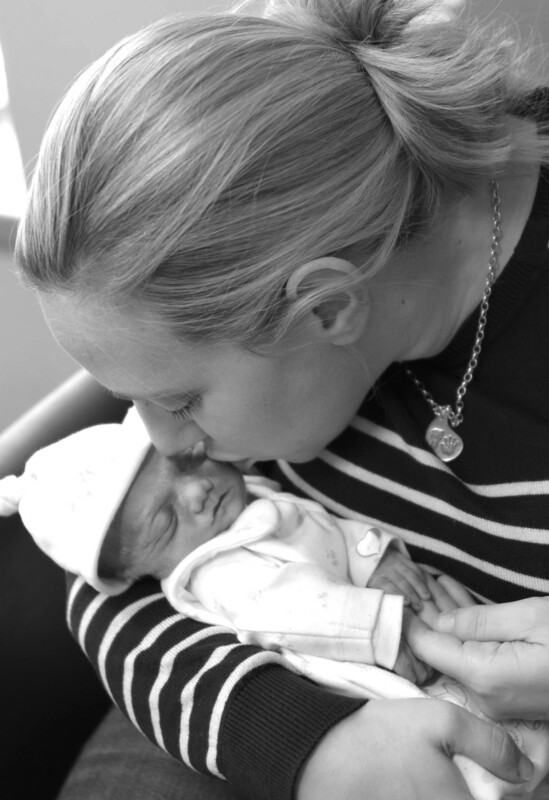 "Thank you so much Katie for giving this opportunity to share Florence’s story. Hi all, I’m Kerry, Mummy to our angel Florence, partner to Mark and Step Mummy to Lois. The 11th September 2017 will be a day I never forget, it was the day we found out we were expecting our first baby together. It came as a huge surprise as although we weren’t being careful and hoped it would happen, we didn’t think it would without some professional help as I have Polycystic ovaries and investigations were due to start regarding Endometriosis too. We were so excited and blessed we had fallen pregnant and at our 12 week scan our little baby was growing so well, and continued to do so at our 20 week scan too. We had chose not to find out if we were expecting a son or daughter as we were grateful for the chance of becoming parents together and couldn’t wait for the surprise. After the 20 week scan we began to start buying bits for our baby's arrival, storing them in a cupboard where they still remain. Fast forward to the day that will haunt me for the rest of my life, at just short of 30 weeks pregnant. The 13th February of this year, it was the day we heard those dreaded, heartbreaking words of ‘Sorry, there’s no heartbeat’. I can still hear my scream and sobs and repeatedly saying “how are we going to tell Lois our babies dead” She was so excited at becoming a big sister. I felt so guilty we were now going to have to break her heart too at just 6 years old. Telling her was so tough, and hearing her say “I didn’t know babies could die in their mummy's tummy” broke my already shattered heart some more. Two days later, although so tough and emotional, I’m not sure how I even got to back to the hospital - (well I do, that was down to the support and strength of Mark). Despite being one of the hardest days knowing our baby was going to be born silent, it will always be so special, it was the day we got to meet the beautiful baby we had created. 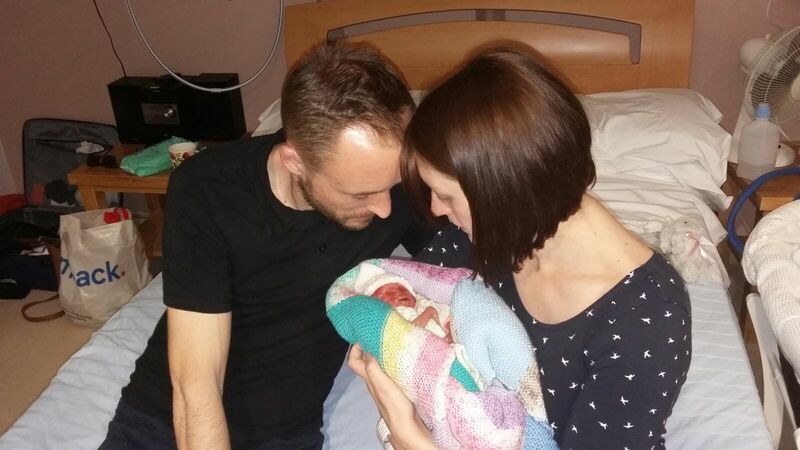 On the 15th February 2018 at 16.06 hours we got to meet our beautiful daughter weighing at 1lb 7oz. To see her perfect little face looking so much like her sister and daddy, I literally thought my heart was going to burst, I’ve never felt love like it. When she was born I just looked at her beautiful face and we knew her name had to be ‘Florence Gwen Gromnicki’. Florence means flowering/blossoming so she instantly became our little Flower and her middle name of Gwen is after my amazing and inspirational Granny who never once moaned before she died despite living with Parkinson’s disease for over 20 years. We loved the thought of having our girls ‘Lo & Flo’. 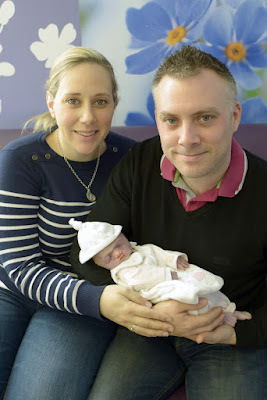 Myself, Mark and Florence spent the next 22 hours together in the Primrose Suite at Stoke Mandeville hospital. We created the only memories we could together. I’m so grateful for that time we had with Florence, I hardly slept as I just wanted to take in every inch of her beauty knowing I would never get the opportunity again and spent the time talking, singing (poor poppet I can’t sing for toffee) cuddling and giving her a millions kisses. I smiled at how beautiful and perfect she was, she defiantly took after her daddy - just had my long feet - poor poppet! The last 3 months have been the hardest of my life. From planning my future with our baby to suddenly learning our baby had died, being told I’d still have to go through labour and having to leave the hospital with empty arms, to planning our daughters funeral. Learning to parent Florence from a far is hard and grief really is like riding the never ending waves. You experience emotions so strong they’re hard to describe and so painful, from one minute being ok/numb to the next minute where the sobs take over and you can’t even catch your breath. But I can talk about Flo with such pride too. Florence is already leaving her legacy and making us so proud. 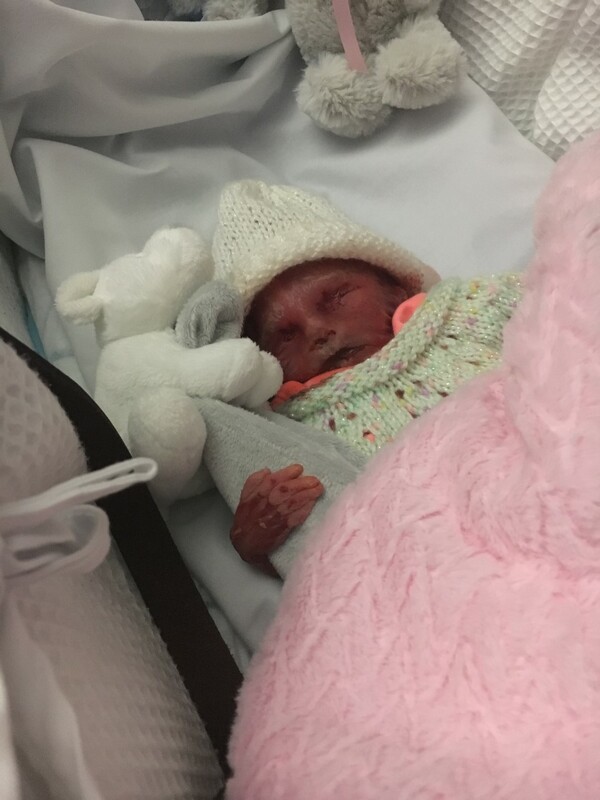 She has already raised over £200 for Tommy’s The Baby Charity and nearly £2500 for the Bereavement Room in which she was born so we can help improve things when Parents find themselves in this heartbreaking journey. Something that’s always said with all baby-loss parents I’ve met in the last 3 months, we all wish we could stop anyone else from becoming part of this community. But I’m so grateful for the kindness, honesty and support the Instagram baby-loss community gives, it’s really saved me along with family and friends. Especially when you are faced with the moments when your daughters existence is ignored. Conversations that you have unexpectedly sometimes in which you say you had a baby that died, they say nothing, ignore what you have said and move on. If you are reading this and have never experienced baby loss and someone says they lost a baby, please don’t ignore it, say you are sorry, that you have no words but ask them about their baby - we all love to talk about them too, our babies existed - my Florence existed. We are still waiting on Florence’s Post Mortum results, the wait I can only describe as torture, the constant blame on myself - if I did or didn’t do something to harm her. But I just hope she knows how much she is loved and always will be. Florence will always be the missing piece of our family, my heart is always going to be so broken that I’ll never get to see her reach her milestones through life but I promised her I would make sure she still went on adventures like she did in my tummy, she will always be so so loved and talked about and everyday I put one step in front of the other is all for her. I’m so proud to be Florence’s mummy. Thank you so much to Kerry, for sharing beautiful Florence. If you'd like to be a part of this series, please send me an email or message on social media. When I was 17 and applying for my provisional driving license, I distinctly remember receiving a leaflet alongside the form, asking for young people to sign up for blood donations. I'm pretty sure I rang the following week and booked in my first appointment. Over the years, I managed to make 9 donations. I so wish this was more, but without all the excuses, life got in the way. I probably put it off more than I should have but I'm so proud to say I helped save someone's life with those donations. 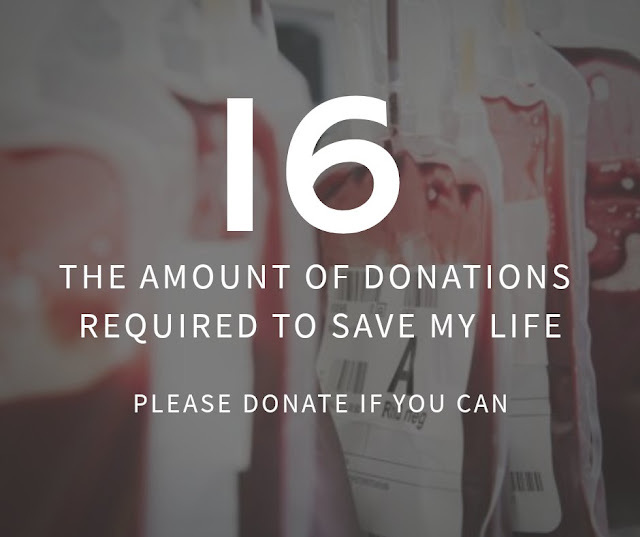 In January, after losing 9 litres of blood, I received 16 pints. That's 16 separate donations, from 16 incredible people. Alongside the blood I also received two bags of plasma and two bags of platelets, also donated selflessly from strangers I will never meet. The only reason I am here today is because of those donations. Without people taking a small amount of time from their day to book and appointment and donate, people like me wouldn't survive. Those people are the reason Violet still has her Mama and Jonathan still has his wife. 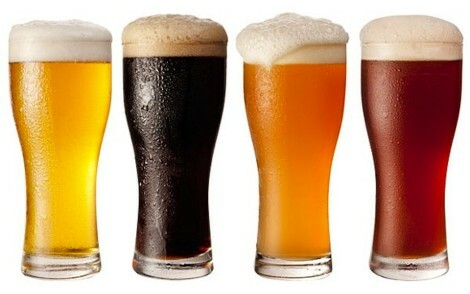 Just to put into context, this is what 16 pints looks like! Image from Google. If you've never been before the whole thing takes around 20-30 minutes. That's from arrival to finishing your donation. It's a really simple process, from signing a form, having a little pin-prick blood test to ensure you have enough iron to donate and then you're ready to donate. The time it takes for donation varies from person to person, but it's usually between 5-10 minutes. After that you're all done and ready for your drink and biscuits! There is a whole page here about the process. There is a lot of information on the NHS Blood Donation website, around who is eligible to donate and where your nearest donation centre is. You can find it all here and can register online too. And if you'd prefer to speak to a human, you can call on 0300 123 23 23. I am incredibly grateful and lucky that this blood was available for me. And I hope by raising awareness and sharing my story I can encourage people to go and make a donation and help save someones life.